Dakota State University began as the Madison Normal School in 1881 with a goal to educate teachers. It was the first in the Dakota Territory, founded before South Dakota became a state. Once the territory achieved statehood in 1889, the school was renamed Eastern State Normal School, but the name changed several times over the next few years. It was initially changed to the Dakota Normal School, then Dakota State Normal School and finally, General Beadle State College. The final name change was in honor of General William Henry Harrison Beadle, the president of the college from 1889 to 1906. 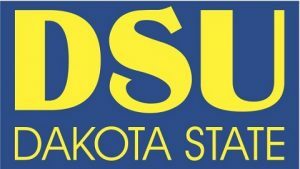 The name was changed in 1969 by the South Dakota Legislature to Dakota State College and gained university status in 1989. From the beginning, Dakota State has had a strong focus on educating teachers, but over the past few years has gained a reputation for teaching technology. The school remains true to its roots by emphasizing the education of teachers who graduate with expertise in technology as it applies to the teaching process. Dakota State University is accredited by the Higher Learning Commission and follows the Academic Quality Improvement Program. This reflects the university’s ongoing commitment to organizational learning and development as well as a desire to continuously improve. Business programs at the university are accredited by the Accreditation Council for Business Schools and Programs. Freshmen, identified as those who are under the age of 24 and have not earned college credit after high school graduation, must have either an ACT score of 18 or above or an SAT score of 870 or above, a cumulative GPA of 2.6 or must rank in the upper 60 percent of their high school graduating class to apply to Dakota State University. Students must complete an application and provide official high school transcripts as well as official test scores. Applicants who are 24 or older must have graduated from high school or completed the GED with a minimum combined score of 580. Graduate students must hold a bachelor’s degree or higher from an accredited institute of higher learning. Students may be required to submit official GRE scores depending on the program they choose. All applicants must provide official transcripts from all colleges and universities attended. Each program has its own admission requirements. 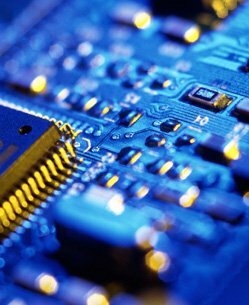 The Master of Science in Applied Computer Science does not require the GRE, but they must have a minimum undergraduate cumulative GPA of 3.0. Transcripts must show the completion of courses in general programming skills with a “C” or better. In addition, students must have completed math foundations, formal programming language foundations as well as data structures and algorithms. Students who do not have an undergraduate degree in computer science or the equivalent may be required to take additional foundational courses. Residents of South Dakota, Iowa, Nebraska, Montana and Colorado pay $283.00 per credit hour for undergraduate tuition. Minnesota residents pay $286.50 per credit hour while residents of all other states pay $382.10 per credit hour. Graduate tuition for South Dakota residents is $359.10 per credit hour for the Madison campus, $450.90 for the Sioux Falls campus and $450.90 for online courses. Minnesota residents pay $491.10 per credit hour for the Madison campus, $450.90 for the Sioux Falls campus as well as for online classes. Residents of all other states pay $636 per credit hour for the Madison campus, $450.90 for the Sioux Falls campus as well as online classes. Financial aid is available, and 76 percent of students receive some type of assistance for tuition costs. In 2016-17, an average of $10,418 per student was provided in financial aid. Students may be eligible for athletic, merit-based or other scholarships. They may also qualify for federal and state grants or scholarships. Loans are also an option, but it is important to remember they must be repaid. Students must complete the Free Application for Federal Student Aid (FAFSA) to qualify. Some merit- and need-based scholarships may require separate applications. Dakota State University, although still focused on training quality teachers, now strives to create educators who are well-versed in technology. Dakota State University has developed a reputation as a high-quality technology training school and offers a wide range of online courses that provide flexibility for working adults.